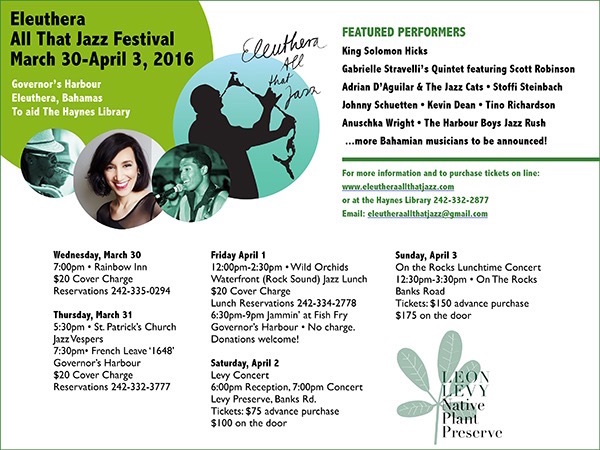 In the Best of Eleuthera series I want to highlight the upcoming festival of Eleuthera All That Jazz 2016 – happening all over Eleuthera from March 30th – April 3rd. As many of you are aware this raises much needed funds for the Haynes Library – last year over $40,000- a fabulous effort. Later that evening the venue shifts to 1648 – French Leave – at 7.30 pm – again a $20 cover charge and you need to make a reservation. See the flyer below for all the phone numbers needed to make reservations…….. 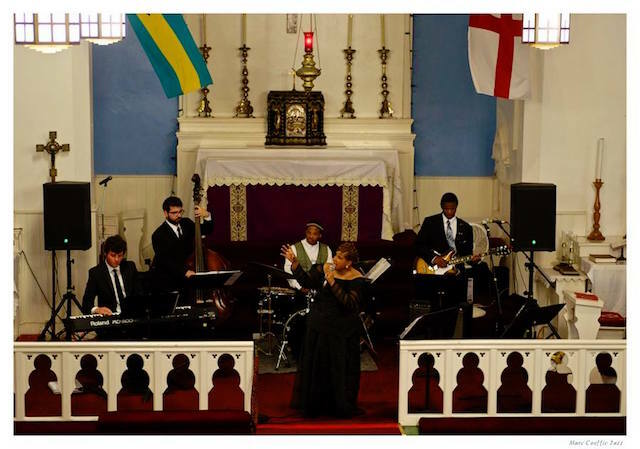 This is a new venue for the Jazz Festival and I’m sure it will be great ! Friday has another brand new venue at lunchtime in Rock Sound – the Wild Orchid waterfront restaurant – from 12.00 – 2.30pm and then later the usual great turnout for Jammin’ at Fish Fry. 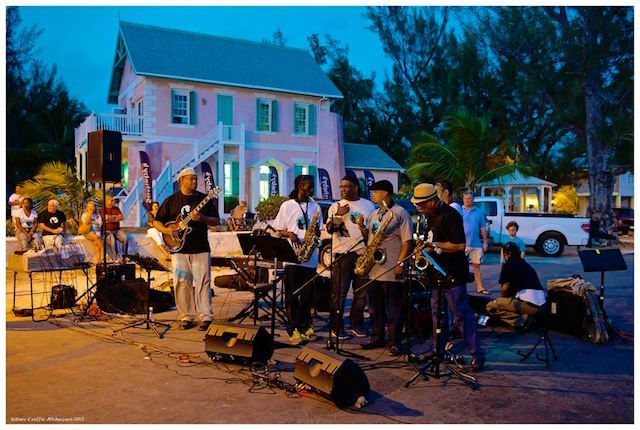 This is always a wonderful night and this year there is the exciting addition of Junkanoo Meets Jazz – with the Harbour Boys Jazz Rush – don’t miss this. Saturday morning at the Haynes Library sees the workshop for young local people interested in music – called Meet the Instruments – where participating jazz musicians introduce their instruments to children interested in playing. This is in its third year and is the brain child of UK based Chris Smith – it is a great initiative and one that truly deserves all our support. 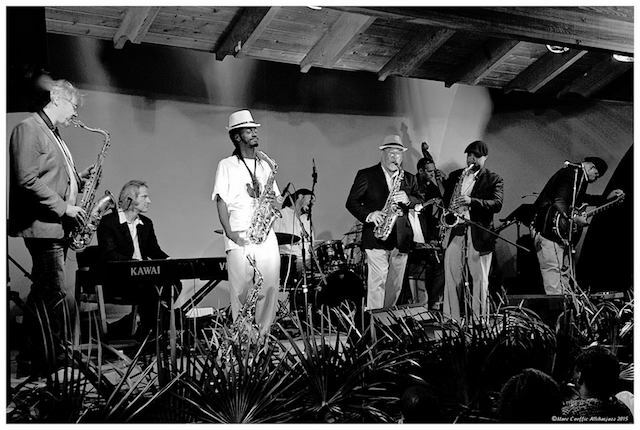 Saturday at 6pm the Reception starts at the big Levy Concert – a major part of the whole Festival. Tickets are $75 in advance or $100 on the door…. Sunday is the last day with the On The Rocks Lunchtime Concert from 12.30 – 3.30pm. Word has it that a top chef is coming in from the US to do the food – sounds good to me ! Young King Solomon Hicks who was here 2 years ago – a fantastic talent and still only about 21 ! !